For better or for worse, there is no such thing as a world-wide patent. There is, however, something that approximates a world-wide patent application that can ultimately result in a patent being obtained in most countries around the world. This patent application is known as an International Patent Application, or simply an International Application. The international treaty that authorizes the filing of a single patent application to be treated as a patent application in countries around the world is the Patent Cooperation Treaty, most commonly referred to as the PCT. You can file an International Application pursuant to the rules of the PCT and that application will effectively act as a world-wide patent application, or at least a patent application in all of those countries that have ratified the PCT, which is virtually all of the countries where you would want a patent anyway. So how is it possible that there is a single world-wide patent application but no world-wide patent? Patents are granted by individual countries, not by any international authority. Soon the European Union will change this by granting a Europe wide patent, but even then to obtain a patent around the world multiple jurisdictions will need to authorize the application and grant the rights. The patent application process can be streamlined and uniform, as with the PCT process, but individual countries have different patent laws, which makes a uniform world-wide patent granting process impossible. For example, in some parts of the world living organisms are not patentable, but in the United States at least some living organisms are patentable if they are the product of human engineering. Similarly, in much of the world computer software is patentable, but computer software has become increasingly difficult to patent in the United States thanks to the Supreme Court’s decision in Alice v. CLS Bank and the way patent examiners have implemented that decision. The morale of the story is this: The protection you receive to cover your invention varies not only based on whether the country issuing the patent has a meaningful enforcement mechanism available to stop infringement, but also varies in kind depending upon whether a particular country will even grant a patent on the underlying innovation. When one seeks international patent rights it is typically wise to draft the application so it would be appropriate in the United States and/or China. The United States and China have among the most stringent disclosure requirements (and getting ever more strict), and historically the United States also has the broadest interpretation of what is considered patentable subject matter, despite alarming creep in the wrong direction recently by the United States Supreme Court. The first option many inventors and businesses pursue is to file the first patent application on an innovation in the country in which they reside. This direct filing option is accomplished pursuant to the laws and regulations of whatever country the application is filed in. A U.S. patent application, such as a provisional patent application or a non-provisional patent application, is a direct filing option. From the U.S. perspective, a filing in a patent office other than the United States Patent and Trademark Office (USPTO) that is not filed pursuant to the Patent Cooperation Treaty (PCT) is considered a foreign application. Direct U.S. patent applications and foreign patent applications are distinguished from an international patent application, which can be filed in any receiving office around the world. For more information on using the international process to file a patent application please see PCT Basis: Understanding the International Filing Process. If you file either a U.S. patent application or a foreign patent application you can still file an international patent application pursuant to the PCT within 12 months of the earliest filing date. If you file your international patent application within 12 months of your earliest filing date (whether a U.S. application or foreign application) then your international patent application is given priority as of the filing date of that first filing. What this means is that when your application ultimately gets examined substantively it will be considered to have been filed as of the earliest filing date, which means that anything that happens after that date cannot be prior art. Having an early priority date is critical in many cases because without capturing and holding that early date prior art will exist that will make it impossible to obtain patent protection in certain jurisdictions. 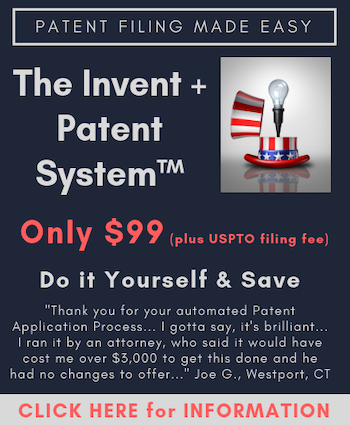 Because the earlier filing of a U.S. patent application or a foreign patent application can be used to establish priority for a later filed international patent application that will seek rights in multiple countries, many inventors and small businesses just start with a U.S. patent application. The filing costs are less by just pursuing a U.S. patent application from the start, and you have 12 months to decide if you really want to pursue foreign rights. Whether you use an earlier filed patent application to support priority for the filing of the PCT Application (as discussed above), or you file an international application without a previous direct filing, you will ultimately need to enter into what is called the “national phase” in every country where you wish to ultimately obtain a patent. You have 30 months from the filing date of the international application within which to enter the national phase in any countries you wish. At this point in time things can get extremely expensive because you would have to pay national fees to each country, and you would have to obtain translations into the language of each country where you wish to proceed. Your primary patent attorneys can and usually do coordinate international prosecution, but they cannot represent you in countries where they are not admitted to practice, which means you will need separate representation in every country where you want to obtain a patent. The best course of action for many is to file an International Application and pursue that process for as long as possible. This is particularly helpful if the innovation is early stage or encompasses basic scientific research that will need to be translated into a commercially useful innovation, or scaled in order to be feasible. In these scenarios so much can go wrong from scientific breakthrough to commercially useful invention that it does not make sense to spend vast sums of money early in the process when the invention may still fail to prove itself. Nevertheless, all things being equal it is ALWAYS better to file a patent application early. Early and often is the best filing strategy today, particularly given that the United States moved to first to file system on March 16, 2013. As a generally rule , if you want a patent anywhere you should file a patent application before any disclosure or use of the invention. Because the international process can be strung out to 30 months from the date of earliest priority filing, that gives you a lot of time to determine whether the invention is worth pursuing, and where it makes sense to seek patent protection. This extended time period is not ideal for inventions with a limited shelf-life, but when the innovation may not prove to be worth the investment to protect you are giving yourself time to determine where you really want to seek patent protection and enter the national phase only in those handful of countries that makes sense to pursue. Typically there are a logical set of countries where maximum market opportunity exists and you would pursue protection in those countries. Popular places to get protection for many inventions are the United States, United Kingdom, Germany, Japan and Asia, particularly China. While China does not have a stellar reputation for protecting IP rights yet, they are definitely improving, by some counts rather dramatically. Given the length of the patent term and the huge market China offers it might be worth the gamble. India may also seem to be of interest given the size of the market as well, although the standard of living in India is so low for so much of the country it is not really an active market for many inventions. I realize that I have left out many countries where protection may be advantageous. You really need to allow the innovation to drive the analysis. For example, let’s say that your invention is a universal translator that you can clip onto your ear or listen to through headphones. Let’s further say that the invention takes any language and translates it instantaneously into English. Stop and ask yourself where the market for the invention is. If it translates into English those countries where the native language is English would likely provide the best markets, so you are thinking of the US, UK, Canada and Australia. You may also want to consider large countries where English is not the native language because such a device could almost certainly be useful as a teaching aide to learn English. Of course, you should also ask yourself whether the invention could be reconfigured so that it could translate into other languages as well, but that is a different topic for a different day. If you are interested in filing an international patent application in the United States, or entering the national stage in the United States based on a previously filed international patent application, please feel free to contact me. The nuances to this general rule go beyond the scope of this primer. Suffice it to say that the safest advice is to file a patent application before disclosure, use or sale. I find the biggest problems with medical/diagnostic inventions. China won’t allow claims to certain types of diagnostic inventions. Other territories won’t allow claims to use of known devices in new treatments methods. Some territories won’t allow claims to further medical uses of known drugs. So it’s worth checking with local agents if you think your invention may fall into a difficult category, particularly in non-mainstream territories.